I want to sell my Promissory Note, how is it valued? 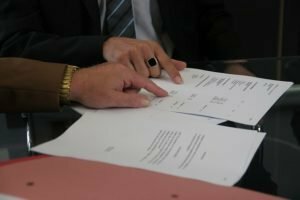 Wondering: If I sell my promissory note, how is it valued? First, few real promissory notes are exactly alike. They have different balances and different interest rates. One real estate note may be secured by a single family home while another may be secured by apartments. One mortgage may have payers with perfect credit while another will have more risk because the payers have poor credit. There is no private mortgage trading market that establishes promissory note prices as the stock market acts for stocks. So when you decide “I want to sell my promissory note”, we evaluate a number of factors. This is a risk reward business… the less risk we have to take …the more we can pay for your promissory note. When I sell my promissory note, how important is payer credit? The risk of default is greater with people who have had trouble meeting past financial obligations. Therefore, their mortgages are worth less than mortgages of payers who have met past financial commitments. When we consider buying your promissory note, we look at how your borrower has performed on his real estate note with you… has he made his mortgage payments on time? Is he making his other payments on time. We will pay more for real estate notes and land contracts with good payment history. Mortgages which have been in place for some time (seasoned) are generally worth more as they demonstrate the payers’ commitment to making payments. These contracts with good payment history are more desirable than new contracts or ones that have had late payments.Therefore, we will pay more for your promissory note if it is seasoned and has good payment history. securing the mortgage. The most valuable mortgage is on the payer’s single family home in a good neighborhood. Even if a payer has good credit, a financial hardship such as loss of job, illness or injury can occur. If he doesn’t have enough income to pay all bills, his house payment will be the last payment will be the last to go. But not making the payment on a mortgage on an investment property, land or commercial property has much less effect on his lifestyle. Therefore, we pay more for your promissory note secured by a contract on the payer’s home, than we will pay for mortgages on investment properties, commercial properties or land. because in default, the holder of the second mortgage will lose his investment if he doesn’t pay off the first mortgage or make payments on the first. The second mortgage holder has much more risk, and therefore we pay less for promissory notes in second position. We will pay more for a mortgage with a higher interest rate. Assume we are looking at two private mortgages, each for $25,000, paid off over 20 years. One has an interest rate of 7% and payments of $193.82. The interest rate of the other is 10% with payments of $241.26. As an investor, would you rather receive $193.82 or $241.26 per month? You see that the contract with the larger monthly payment (higher interest rate) is more valuable. Therefore, when you decide that “I want to sell my promissory note”, you will generally receive more cash with a higher interest rate. We will pay more for a mortgage with a shorter payback period. We are interested in getting our money back in as short a period as possible. So, we will pay more fro promissory notes mortgages paid off in shorter periods of time. But, balloon mortgages (ones with a large final payment) may present problems. Will the payer be able to pay off the balloon when due? We may restructure the mortgage for you, eliminating the balloon, to eliminate this risk. The more equity (money the payer has at risk) the more desirable that mortgage becomes. in the event of a financial hardship, he will find a way to protect his equity. His financial problem then is much less likely to become the note holder’s problem through default and foreclosure. 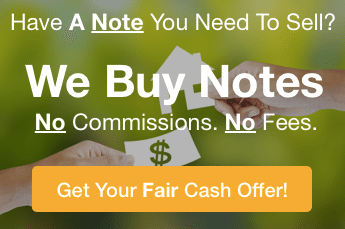 So, when you decide that I want to sell my promissory note, Be sure to fill out the form on this page forva fast and fair offer or call us at 772-232-2383. We will develop a purchase plan tailored specifically for you. And, be sure to check out what other note sellers have said about dealing with us.